If you’re looking for a place to start, you’ve come to the right place. 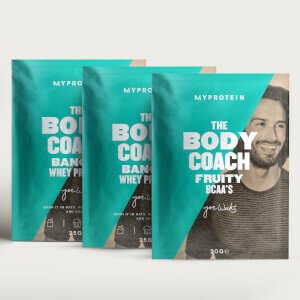 We’ve put together five essentials from The Body Coach range in one amazing value bundle, so that all you have to do is get cracking with the important stuff – like starting on that full body workout. It’s packed full of supplements that are perfect to support you through training, whatever your level. From a sweet protein shake to sort you out after your HIIT sessions, to essential vitamins to help keep you in tip-top condition1 — there’s a bit of everything. Daily Multivitamin (60 tablets): Start your day off right with seven essential vitamins — all jam-packed into one super-convenient tablet. Vitamin D3 (180 softgels): Known as the sunshine vitamin, this will support your immune system1 — keeping you fighting fit to tackle whatever you have planned for your day. 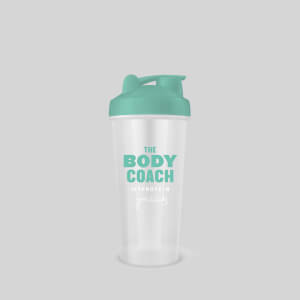 The Body Coach Shaker: Fuel up wherever you are — this essential shaker is ideal for keeping on top of your nutrition, even with a busy schedule. 3. EPA and DHA contribute to the normal function of the heart. The beneficial effect is obtained with a daily intake of 250mg of EPA and DHA. 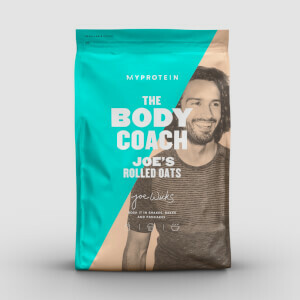 When to use The Body Coach Bundle? Overall, it was a good deal. However, the protein powder has barely any taste to it. I had gotten it in chocolate, but could hardly taste anything related to chocolate. 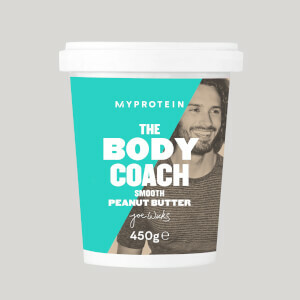 This is perfect for people who want to get started on supplements and protein powders but don’t know where to start! I’m on the 90 day plan and ordered Vanilla as it works best with the PBJ smoothie (my fave). Highly recommend !